IoT solutions can help winegrowers and winemakers control environmental variables and gain more insight into the production process, thereby enhancing both their bottom line and the end product. Needless to say, IoT applications in the winemaking business are still in the early stages of development. As author Reilly Dunn mentioned in our recent IFA article on use cases of IoT in agriculture, precision farming is a huge opportunity. Farmers can take advantage of advances in technology to improve their yields and to minimize wasteful spending. Technology can seem daunting, but its ROI in agriculture isn’t something to ignore. It’s estimated that agriculture IoT has a current market opportunity of $4B USD. Let’s put this in the frame of viticulture and winemaking. When cultivating their vineyard, winegrowers deal with much of the same uncertainty as farmers. Once grapes are harvested and turned into wine, the wine must age in barrels in very particular conditions. Storing wine in an improper environment can lose a winery hundreds of thousands (or even millions) of dollars. Needless to say, growing wine grapes and making wine requires conditions to be just right to bring the perfect bottle of Pinot Grigio or Malbec to the table. Wine growers must face the realities of dealing with Mother Nature so intimately; not every day will bring perfect conditions for a vineyard. The bright side? Technology has opened up many new avenues to optimize yield based on conditions growers can’t change, such as rainfall or lack thereof, wind, and sun exposure. 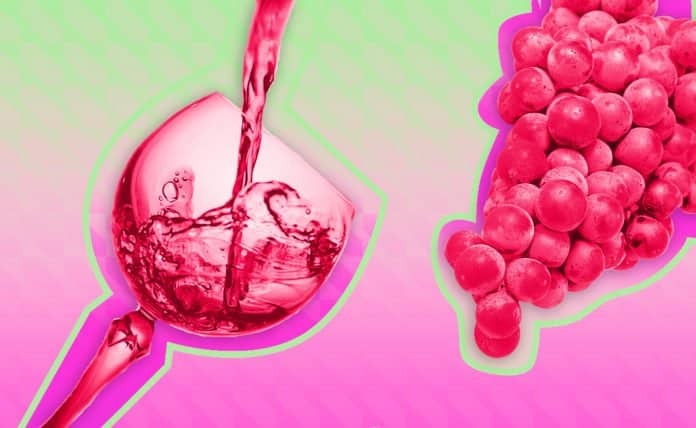 For all these conditions and more, wine growers can invest in small and relatively inexpensive sensors to track real-time conditions and make data-driven decisions. Furthermore, investing in an IoT system will show its value immediately for a vineyard in terms of optimizing daily operations—e.g. reducing labor costs—but also in a longer-term way by preventing catastrophic damage from pests and diseases. Viticulture isn’t the only application of IoT in wine. Many sensors in the same family can be utilized in wine cellars in wineries. Three essential controls are needed for the environment of a wine cellar—light, humidity, and temperature. Wine while aging in barrels or bottles can only be exposed to minimal light, and that amount varies by type of wine. The humidity and temperature of a cellar also must stay consistent—humidity is best at 70 percen while the ideal storing temperature is 55ºF. By controlling and connecting the cellar environment, winery owners and managers can know when even the slightest difference occurs in any of these values and correct them before damage is done to the wine. Why Is Now a Great Time to Invest in Vineyard/Winery IoT? In previous years, connectivity in IoT for agriculture and viticulture relied heavily on the cellular networks of the area. The problem? Rural areas aren’t always well covered, and these tend to be the same areas where fields and vineyards exist. Now, with the advent of LPWAN (low-power wide-area network) and LoRaWAN (which optimizes systems connected to LPWANs), vineyards can look forward to using a single network to span miles in even the most rural of areas. (Read more about them here.) They are a low-cost way to connect sensors to the internet and allow vineyards and wineries to optimize their operations from real-time data. As more IoT and smart technology is built out for the vineyard and wine cellar markets, it’s important to ensure that the interfaces and hardware are easy to learn, as viticulture and winemaking can span many different generations under one roof. We champion IoT as a key to many of the problems plaguing farmers, but we must also remember that more niche industries, such as wine growing and making, struggle with many of the same problems, considering it falls within the broader scope of agriculture. As vineyards and wineries begin to install IoT systems, such as SmartVineyard’s sensors and stations, their contemporaries will catch on to the ease and value that IoT brings to winegrowers and winemakers. That means better, tastier, and maybe even cheaper wine may be on the horizon.